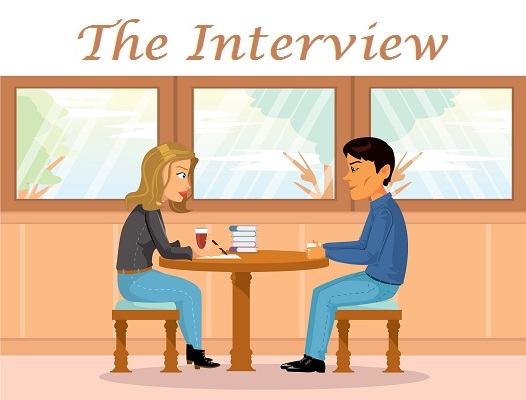 This week on ‘The Writing Life of:‘ I am thrilled to be interviewing author Ted Galdi. Ted will be sharing with us detail of his writing life, telling us all about his latest book ‘The American Cage‘, which was released on 5th October 2017, and answering a few fun questions too. Ted Galdi entered the world of novel writing in 2014 with the publication of bestselling Elixir, winner of a Reader Views Reviewers Choice Award and a Silver Medal in the Readers’ Favorite Book Awards. Ted is a graduate of Duke University, a major in Political Science with a Certificate of Achievement in Film, Video, and Digital Media Studies. He’s been featured by ABC and FOX television, iHeart Radio, and many other media outlets. Play first base for the New York Yankees, just like Don Mattingly. That one worked out exactly as planned, huh? My favorite book when I was really little was Where the Wild Things Are by Maurice Sendak. When Jurassic Park the movie came out, I thought it would be cool to read the book by Michael Crichton. I didn’t understand virtually any of the scientific words in it. But it was still awesome. I always had a love of storytelling and would write up little stories from a very young age. When I was a kid, I just liked it, and never specifically aimed to do it professionally. As I got a bit older and started writing screenplays, I realized it could possibly be more than a hobby. None of the scripts I wrote were ever turned into actual movies, but they helped me learn how to tell a “feature length” story, which of course is key for novel writing. As mentioned, I wrote, in some form, my entire life. And after getting through a handful of screenplays when I was a teenager, I felt ready to tackle the novel format in my twenties. Writing Elixir, my first book, was the big transition from this being a hobby into something more. I started with a really rough outline, then chopped away, little by little, on the first draft. Eventually I had a finished book. No more complicated than that. An outline, plus a little writing every day (or almost every day) is all it takes. My goal is two thousand words a day. Often I come in a little lower than that. Sometimes though, especially when I’m on “later” chapters and have a very good sense of the characters, I’ll lean back from the keyboard and realize I got way more done. I have nothing against pseudonyms in general, but I never considered it. Writing a book is such a personal experience for me it’d feel weird throwing another name on the cover. Sometimes I’ll speak out dialogue to get a “sound” of it, which definitely would seem ridiculous to someone who walked in on me. There’s a romanticism to banging away on a typewriter, and a part of me always wanted to try it, but it just seems so inefficient if you have a computer. I use the “Notes” app on my phone a lot too. If I’m out and an idea pops into my head, I jot it down there. Technology is a big help, but the old days seemed so much cooler. Maybe I’ll go really retro for my next book and bust out a quill pen and one of those puffy shirts Seinfeld wore. My first book, Elixir, was published in 2014. It’s a thriller about a teenage genius trying to cure his girlfriend of a mysterious disease. 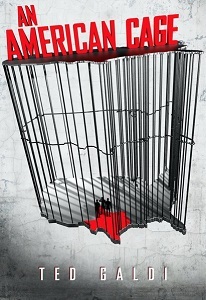 My second book, An American Cage, is another thriller, it’s about three guys who escape from a maximum-security prison in Texas and struggle to cross the border to safety in Mexico. I’m currently working on a third thriller, still on the first draft. And yes, I do have a finished manuscript of another book I haven’t published. I may put it out there someday, or repurpose it a bit first. Not sure about that yet. At this point, I’m focused on finishing the book I’m currently on. A little of both. I like doing an outline before I write, but not a very detailed one. Plot and character are so intertwined that, at least in my mind, you can’t fully plan out one unless you fully know the other. Writing a novel and going through the drafts is a learning process. You don’t know everything right away. I have an idea of my characters before I begin the first draft, but get a much better feel for them as I write about them in their world and have them speak to each other. As this understanding grows, the trajectory of the plot naturally changes. My outline is “fluid,” versus being a long, moment-by-moment breakdown of the plot that’s frozen before chapter one is begun. Once you have a general idea of the direction the story will head, it’s important to sit down and start writing. Bring the characters to life and take it from there. I read some reviews, but not all. There’s no process I have here. Often, when someone really likes something I wrote, they’ll email me and provide a link to the review. In that sense, most of the reviews I’ve read are positive. Very rarely does someone write a negative review and go out of their way to email you a link to it (though some have). So yes, I’ve received negative reviews. All authors who’ve shown their books to people other than their mom have. I like Goodreads and sometimes when I log in and go to my page, I’ll see a negative review floating around on there. It doesn’t bother me. Everyone is different and has a different opinion. That’s what keeps the world interesting. It took about a year to get the book done. As of writing this (August 2017) the book is finished but not published yet (release is scheduled for October 2017) – It was released on 5th October 2017. The major characters in An American Cage are named Danny Marsh, Monty Montgomery, Phil Zorn, and Jane Pilgrim. Most importantly, names have to be a good fit for a character’s demographic profile (generation, background, location, etc). As long as that’s handled, I like playing around a bit with references. Each of these four names has some sort of veiled meaning under it, particularly Phil Zorn. If any readers can figure out what I was going for, I’d love to hear from you (email me at ted@tedgaldi.com). Danny Marsh is the main character. He’d never broken the law in his life, but lands in one of Texas’s worst prisons in his early twenties because of a crime he never intended to commit. He has a talent for art, and was making early advances in a career as a graphic designer before the incident that imprisoned him. All he wants is to get out of this horrific jail and pick up his career where he left it. He has an opportunity to start over with a fake identity in Mexico. But first he has to escape the maximum-security prison and make it across the border before the Texas authorities hunt him down. A suburban kid who isn’t used to peril, Danny has his doubts, but decides to go on this journey anyway. It only gets worse for him along the way. An ally isn’t who he seems, and the police become the least of his problems. His life, and those of his family, are at stake. No scene in particular comes to mind. The biggest challenge was the setting. The entire story takes place in Texas. I grew up in a New York City suburb and have been living in California the last seven years. I’m definitely no Texan. I’ve been there a few times and loved it, but didn’t have an in-depth feel of the state, particularly the differences among its many regions, when I decided to write the book. I had to do a lot of research. It was a big part of the project. An American Cage is intended to speak to a few things. First, the story is about jailbreak, and the concept of an American cage of course has parallels with an American prison. Second, once protagonist Danny and his two breakout partners, Monty and Phil, successfully escape, they aren’t safe until they get out of America, away from the authorities, and into Mexico. In that respect, the entire United States acts as a cage they need to get out of through the course of the book. Finally, the title is a metaphor for the cultural clash in America between the ideas of religion, science, and the individual, which anchors the theme of the book. I always do this. It’s important to get a fresh set of eyes on your story. I don’t show anyone my first drafts, but ask for an opinion on my seconds. This is always within a close circle of family and friends. Once I finish later drafts, and the story is “ready,” I have a proofreader give it a look for errors in grammar, spelling, etc. I opened up a bottle of red wine and watched a movie. I do this every time I finish a draft. Wine and a movie at home alone. For the final draft of An American Cage I think I watched Alfie. Like I said before, I’m in the middle of a first draft for a new thriller. When it’s ready, I’d be happy to come back and talk about it. Peter Luger steak (a restaurant in New York). A Peter Luger steak and a lot of blue crayons. You can find out more about Ted Galdi by visiting the website/social media sites below. I would like to say a big thank you to Ted for sharing with us details of his writing life, and for a wonderful interview. Great interview, and very well answered. Again love the fun facts sections. As always, I love your interviews! Great questions! Great interview. His books sound interesting and like something I would want to read. And a lot of blue crayons? !